Baghpat is a famous town of NCR and Municipal Board in Baghpat district situated in western Uttar Pradesh. It is the administrative headquarters of Baghpat District located on the banks of river Yamuna and is just 52 Km from Meerut city. The town has an average literacy rate of 66% which is higher than the normal average of 59.5% with 82% of males and 58% of females are now literate. To impart higher education to the youth Baghpat has some medical as well as engineering colleges like SPRC Degree College, Indradev College of Engineering and Technology, Aryabhatta Collge of Engineering and Technology along with some private management colleges like JagMohan Institute of Management and Technolgy , Om Sai Institute of Science and Technology etc are the prominent one. The town also offer technical education to the youth and for this it has one Government Industrial Training institute at Khekra which offer diploma courses in both engineering as well as non engineering courses. The minimum age limit to enrol in these courses is 14 years and the minimum qualification is matriculation. 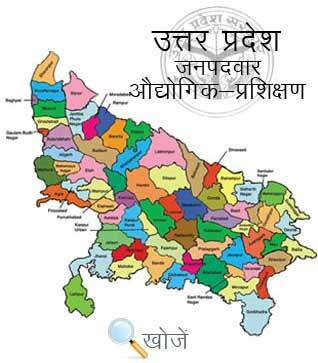 Vyavasayik Pareekha Parishad in the state of Uttar Pradesh is responsible for conducting the entrance examination for admission to various courses in Industrial Training Institutions. The official site is www.vppup.in. Students can also visit www.upiti.in which provides them all the necessary information about online admission, checking of result, counselling dates, courses details etc so that they get enrolled in their choicest courses.